This is not your grandmother’s kind of girl power. 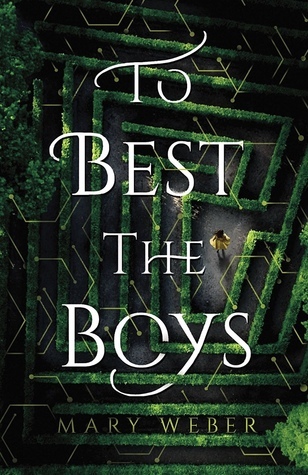 To Best the Boys is one of those books that young girls, and young teen girls need today! It’s not some ridiculous novel that keeps shouting “girl power” at you. It’s the kind of story that SHOWS you girl power… and still shows human weakness and imperfection. Mary mentioned on social media the other day that she struggled with this novel more than a little bit. I tend to think that is part of what makes this such a compelling read. That struggle is embedded in every word on the page, shining through the characters’ words and actions! There’s also adventure, and danger, and MAGIC! Every year for the past fifty-four years, the residents of Pinsbury Port receive a mysterious letter inviting all eligible-aged boys to compete for an esteemed scholarship to the all-male Stemwick University. Every year, the poorer residents look to see that their names are on the list. The wealthier look to see how likely their sons are to survive. And Rhen Tellur opens it to see if she can derive which substances the ink and parchment are created from, using her father’s microscope. In the province of Caldon, where women are trained in wifely duties and men are encouraged into collegiate education, sixteen-year-old Rhen Tellur wants nothing more than to become a scientist. As the poor of her seaside town fall prey to a deadly disease, she and her father work desperately to find a cure. But when her Mum succumbs to it as well? Rhen decides to take the future into her own hands—through the annual all-male scholarship competition. With her cousin, Seleni, by her side, the girls don disguises and enter Mr. Holm’s labyrinth, to best the boys and claim the scholarship prize. Except not everyone’s ready for a girl who doesn’t know her place. And not everyone survives the maze.